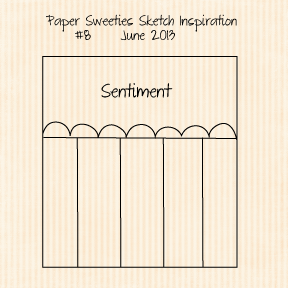 It's the first of the month, so that means it's time for Paper Sweeties Inspirational Sketch. You can find the sketch below. I started with a card base of Brown Kraft Cover Weight cardstock onto which I added the alpha patterned paper to the upper portion of the card face. I added several banners from various patterned papers I had in my stash. Next I wrapped a length of grosgrain ribbon around the card and tied in a bow just above the banners. A row of buttons were added for an embellishing touch. Here is this months Paper Sweeties Inspirational Sketch for you to try. I hope you will play along so you get a chance to win some sets of your own. You have until the close of the month to join in the fun. I am sharing at Craftin' Desert Diva's - Anything Goes with Ribbon and Twine. Beautiful! LOVING the colors and the buttons!!! So fun! Love the bright colours and great details. so pretty, tammy! you take gorgeous photos as well. :) i'm your newest follower! How beautiful is this Tammy!! Love the papers and GREAT take on the sketch!! Awesome job!! Cute, cute, CUTE! LOVE those little pennants! A Fabulous & Fun card! Would love if you joined us at 2 Creative Chicks "Buttons, Bows & Brads" Challenge. This is super! Love your take on that sketch by adding those banners. Great card. SOOOOOO Very Pretty,Love the colors!!! Tammy this card is gorgeous! I love the various patterned papers and they go together so well. I love your take on the sketch, gorgeous! Would love for you to play along with us over at my blog in our Funday Friday challenge! 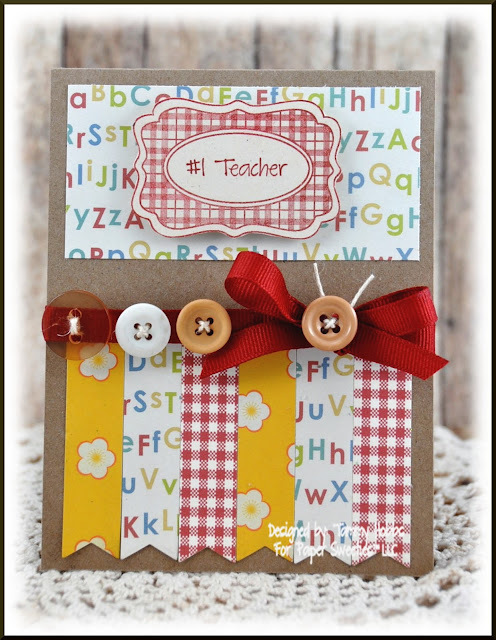 Great job with your teacher card, Tammy! It is full of color and fun! OH Tammy this is so fun and festive! Love the colors! Those buttons are so fun and add so much bling! and the papers are perfect! How fun is this??? 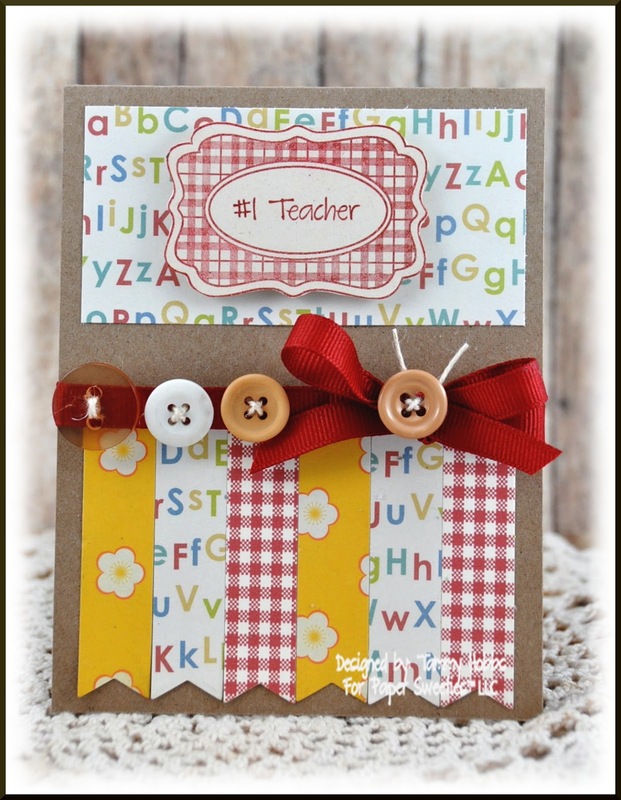 LOVE the patterned paper mix and the banners and that FAB ribbon and buttons, Tammy! 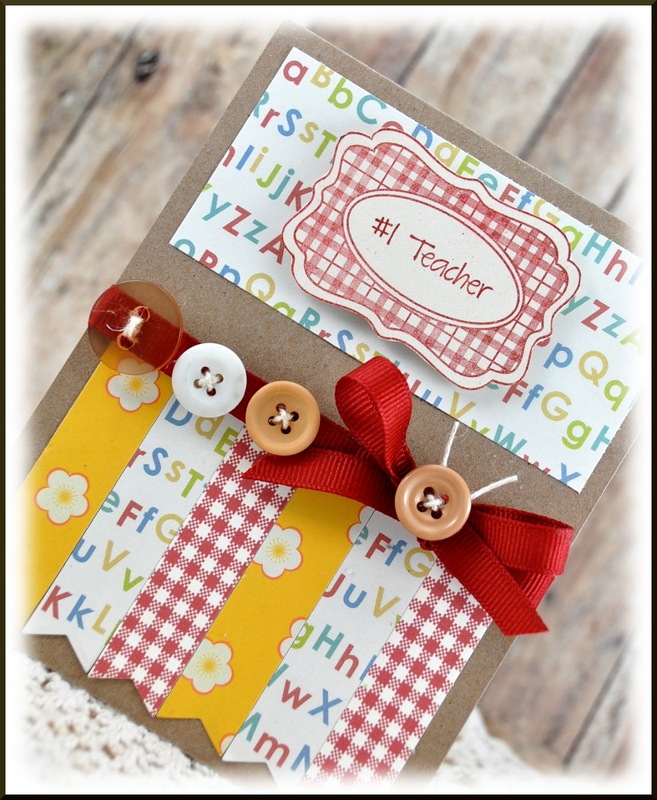 This is so clever and what a fun card for a teacher!! What teacher wouldn't love this card? I love the fun colors and those cute buttons! Totally fun card! I love the banners, buttons, awesome dp's. Very cool card!! !